Driving up the Northern California coast after a long Friday workday, I would often see the moon out over the Pacific Ocean looking very large and with a shimmering reflection in the water. All creatures can be captivated by this scene and many animals are sensitive to moon cycles. 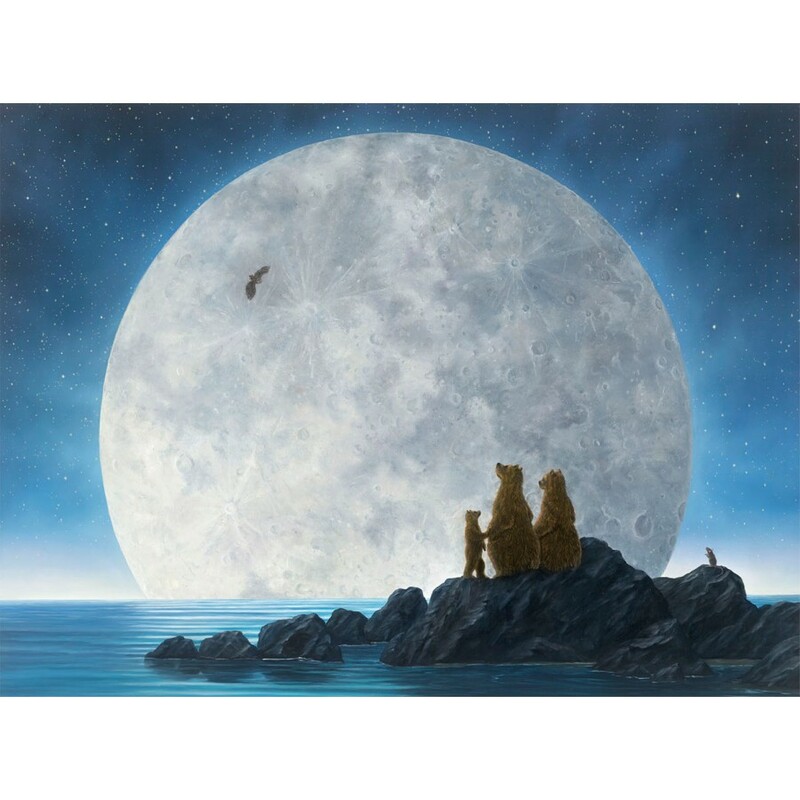 We all look to otherworldly "sights" for inspiration and energy as these bears are doing here. The owl is from the Owl and the Pussycat story by Edward Lear, whose home (now a hotel) I used to stay in when visiting London. I spent many happy hours creating this new piece and consider it one of my finest. The ultimate intention in my work has always been to bring love, light and hope to our world and it is my humble desire that this painting helps bring those qualities to you, the viewer.